Book Review: How Do Apples Grow? 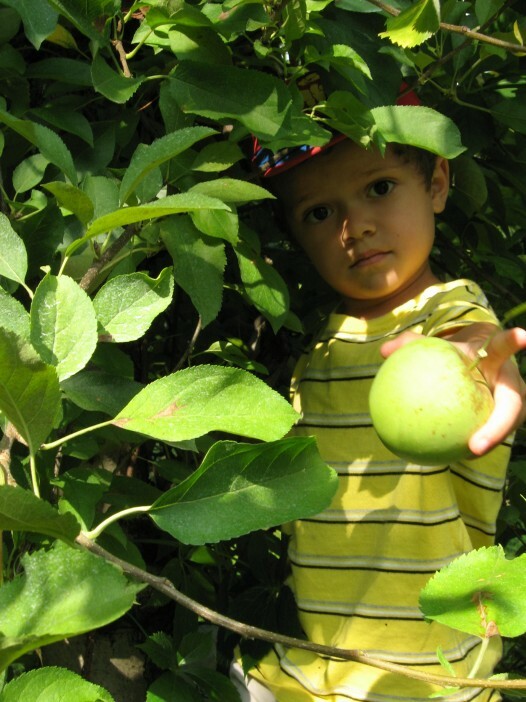 This book describes the way an apple grows on a tree, from the tiny leaf buds that exist in winter, to flowers blooming while bees pollinate them, through the time the apple ripens and is harvested. The text gives carefully detailed descriptions of how the fruit develops without being wordy, and children who like to understand how things work will appreciate the straightforward way these facts are presented. Like most of the books in this series, the illustrations are pretty average, but when apple harvest rolls around this is a great book to have in the reading basket. While the general concept of an apple growing from a flower will be understood by preschoolers, it is targeted toward primary school ages. Publication Information: Maestro, Betsy. How Do Apples Grow?. Maestro, Giulio (Illustrator). Let's Read and Find Out Science Stage 2; Scholastic. 1992. ISBN: 0439211638.